In numerology, each letter is linked to a number, which has its particular set of energies, qualities, and attributes. These influence the vibrations of the name, which can further impact the personality traits and even the destiny of the bearer. If you’re picking a baby name starting with M, find out below what it could spell out for your son’s future. A boy with M in his initial is hard working, courageous, and intelligent. They are those people who bring the change rather than wait for it to happen. And it’s this firm resolve and self-confidence which bring success at their doorstep. M boys are very intense and emotional. They throw their entire being into the relationship they’re involved in, which makes them reliable marriage partners. Also, the M guys do not believe in manipulating people and take each of them at face value. On the downside, M people do not like being told what to do and can become aggressive and argumentative if they’re pushed beyond their endurance and patience. M also happens to be one of the most common letters for baby boy names. 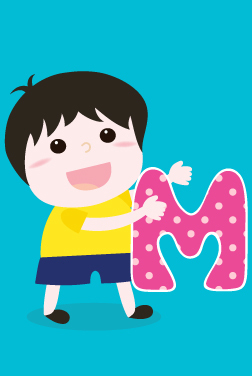 Below MomJunction has featured tons of baby boy names with letter M, ranging from traditional Mason, Mark, and Morgan to unheard and unique Maad, Maasilan and Moalim.